This scarf particularly proud its scientific performance in critical cleanroom environment. The yarn is made of synthetic polyester and nylon 100% continuous filament, use ultra fine yarn (0.13 denier). 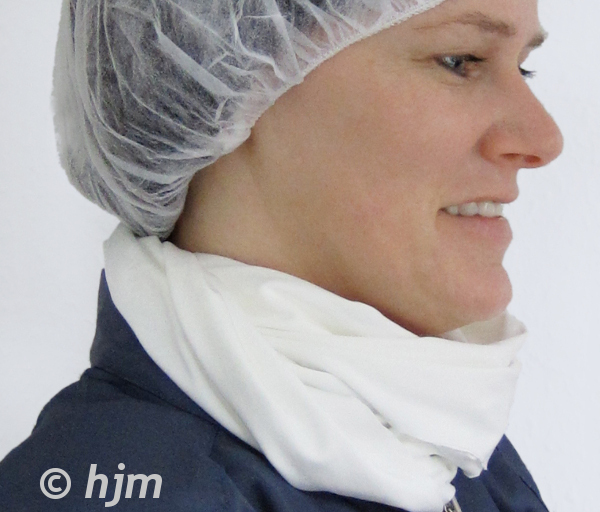 The scarf is washed by 17 Ohm de-ionized water and packaged under ISO 4 cleanroom environment.